Beef producers can ill-afford to not graze this year in the fall or winter. I'm not sure they ever can but this year hay is very expensive. 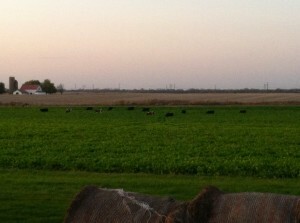 Drought ’12 is causing many cattle producers to consider cover crops for fall and winter grazing. Hay is very expensive and in short supply, and corn silage will be short in many areas. A lack of feed is leaving a number of dairy and beef producers looking to liquidate their herds. 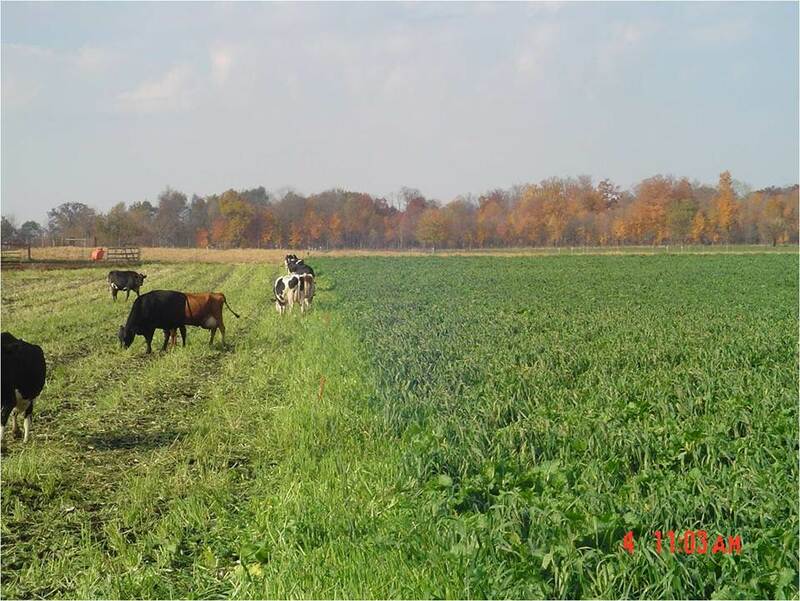 Two years ago I wrote about grazing cover crops in the winter. It highlights the value of oats, cereal rye, and turnips in combination. There is also an attached video included with that article. See this post for video from this past winter. 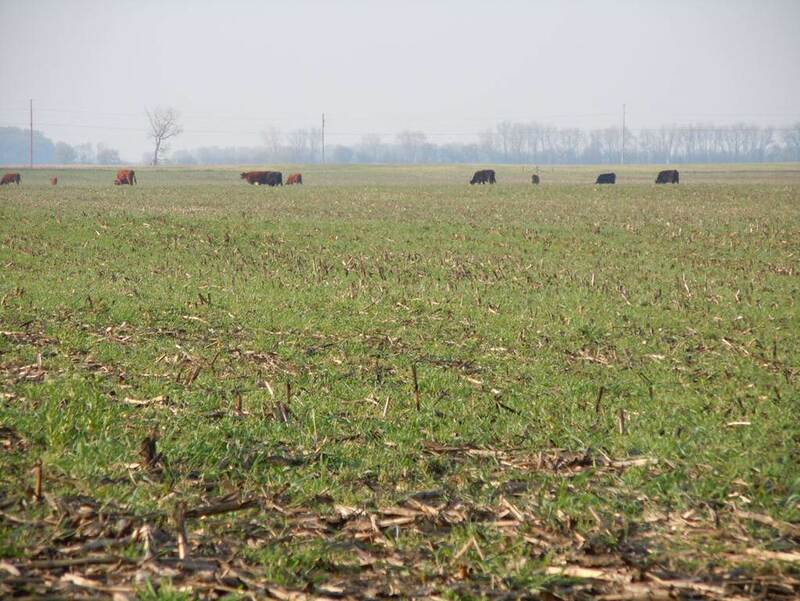 Several producers have seen beef cattle gain up to 3.5#/head/ day when grazing cover crops over the winter. I just completed my third season of grazing seed salad cover crops on my own farm and have been working with several of our local dairy and beef graziers about incorporating this into their rotation. Thus far the lowest RFQ has been 220. I’ve done summer mixed, cool season mixes and summer and cool season mixes together. While initial livestock experience has been skeptical, once they get a taste, cattle (and sheep) cannot get enough and refuse to eat orchardgrass/red clover. 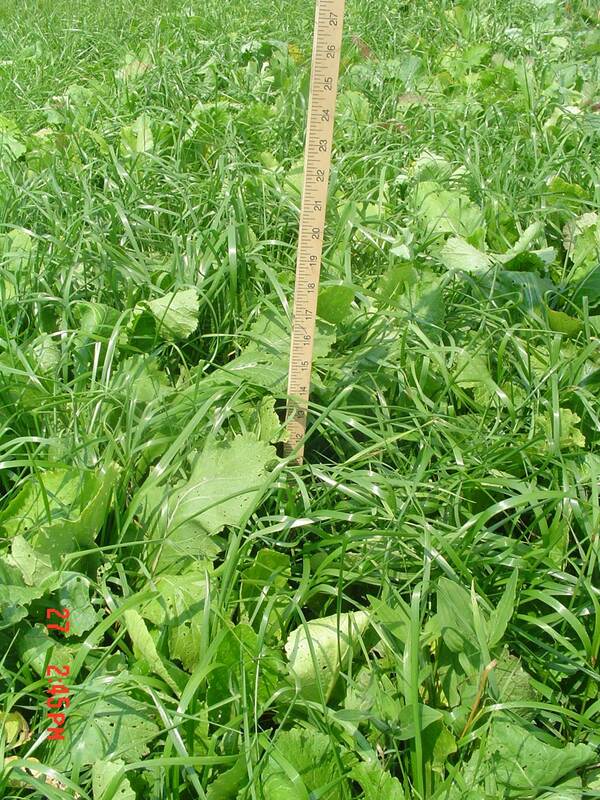 I’ve been encouraging dairies to try cover crops for summer and early fall to aid in managing manure applications. Here are some additional options that may work in different situations and for different animals too. 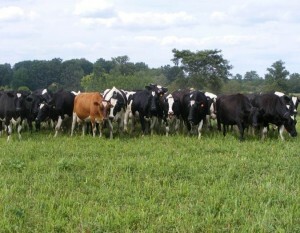 Many producers report that their cattle produce more milk when grazing BMR sudangrass or BMR sorghum sudangrass. In many areas it is getting late to plant these species (as of July 25). However, with good fertility, good moisture, and warm temperatures I have seen yields as high as seven tons of Dry Matter of BMR Sudangrass in the Thumb of Michigan when planted after wheat. However, that included high fertility and excellent growing conditions. If it remains dry you should not plant these because you will run out of time to get adequate production. There are better options for shorter growing periods. 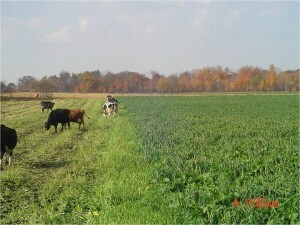 Dairy cows strip grazing oats and Appin turnips in the fall. If a producer does not want to have their cover crop overwinter then Oats and Turnips are a great choice for fall and winter grazing. Plant 2 bu/acre of oats and add 5#/acre of Appin Turnips. As you can see in the photo it is best to strip graze this mix to get the best results and the most feed. This mixture needs nitrogen and I’d recommend that you apply 50#/acre of actual N at planting time. This can be planted after wheat or after corn silage harvest in most regions. This mix is for the producer that wants fall and spring feed. I have worked with this mixture since the early 2000’s with Ed Ballard (U of IL Extension). We measured yields as high as 5 tons DM/acre in the fall and an additional 2 tons/acre in the spring at the Dudley-Smith Farm near Pana, IL (Central IL). It was planted after a wheat crop was harvested. Plant 1 bu/acre Cereal Rye + 1 1/2 bu/acre of Oats and 5#/acre of Appin Turnips. 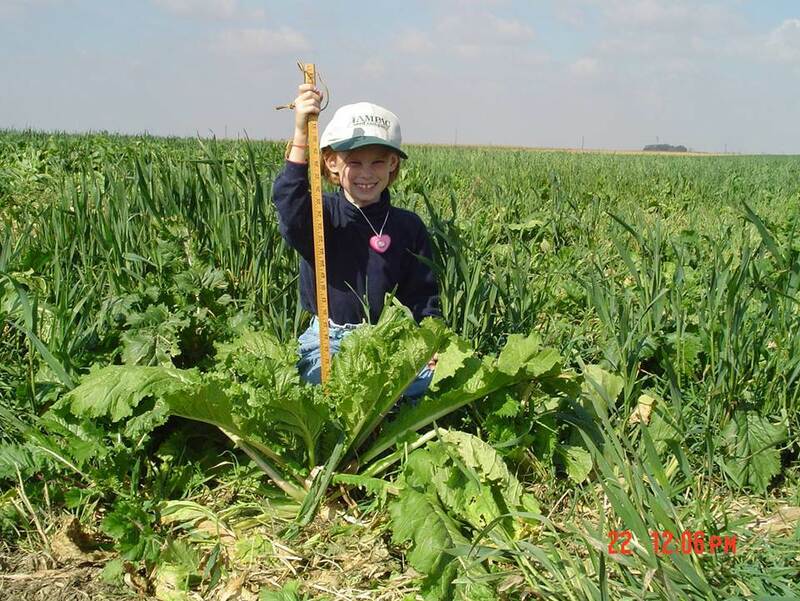 The oats are nearly 30" tall and the turnips are around 18" in this October photo. The cereal rye was about 6" tall at this time. This mixture was planted in late August and the photo was taken Oct 22 - approximately 8 weeks after planting. My daughter Grace was the model. 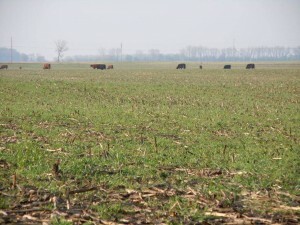 Cattle grazing cereal rye and corn stalks in April 2012 in Northwest Indiana. Nick Saathoff from Northern Illinois had excellent success in the fall and winter of 2012 grazing. Nick planted 1 bu/acre of Cereal Rye and I believe 5 # cover crop radishes. Nick grazed the cows up to Christmas in northern Illinois and had more rye to graze in the spring. While radishes are not grazed quite as well as turnips they still work well in this grazing situation. 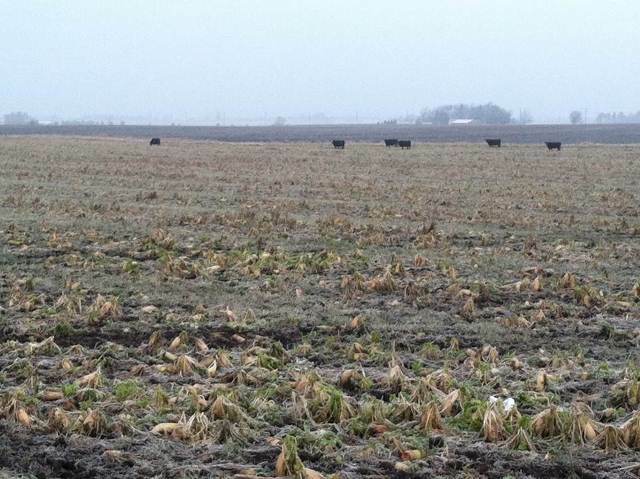 Cattle "knee deep" in rye and radishes in Northern Illinois in October 2012. 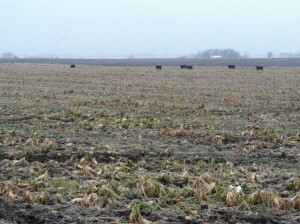 Cattle grazing rye and radishes in late December 2012 in Northern IL. The production from this field greatly reduced how much hay had to be fed to the cattle and increased Nick's profits. While this is not my favorite mixture, it is one that provides good quality feed, produces nitrogen, and is a very good cover crop. Why is it not my favorite? Cattle do not generally graze peas as well as they do other high quality forages (especially turnips). If growing conditions are good (not too hot and with good moisture), this mixture can crank out the yield! I’d prefer that this mix is harvested but hey – grazing can sure work well for this too! Inoculate the peas and plant this mixture 1-2 inches deep to achieve the best stand. These mixtures both can provide excellent grazing opportunities. Cattle will graze the crimson clover better than peas and very possibly will survive the winter in many regions for spring grazing (with or without the cereal rye). These mixes work well planted 1/2″deep – or plant the cereal grains 1-2″ deep and seed the crimson clover 1/4 to 1/2″ deep. For best fall grazing opportunities plant these in late July through mid-August in the Upper Midwest and into early September in the Corn Belt. Be sure to plant pre-inoculated crimson clover or inoculate the seed before planting. This mixture can provide very good grazing opportunities where good moisture, moderate temperatures, and high fertility are present. 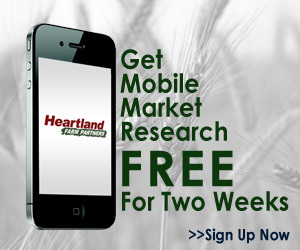 This will be the highest forage quality of all of the mixes listed in this article. However, if it remains exceptionally hot and dry, this mixture will not be as productive as those previously mentioned. This mixture works best when strip grazed or rotationally grazed. Italian Ryegrass like Feast II or Annual Ryegrass can be very productive in high fertility situations. Add Pasja or Appin and the yield and quality are greatly improved. Great article as usual. Would love to see some articles on grazing hogs due to high feed prices that are expected. Hi Richard…great idea…I will put it on my agenda to do. great article,maybe you could tell me how to take aprx 5acrs and what I could plant for goats an a horse to help feed for winter. and I KNOW I’M VERY LATE IN ASKING THESES THINGS. Jacquie, Yes, you are late, but maybe not too late! I believe that winter Barley and winter (Cereal) Rye can provide some grazing if you get them planted right away. Obviously you will need to keep the animals off of the pasture while the cover crop/pasture gets established, but maybe you will have enough time to get them up and going. If not, at least you will do the soil “animals” a lot of good. That is a great question. One cover crop that works great for grazing would be Sorghum X Sudangrass or Sudangrass. The Brown Mid-Rib types work the very best for palatability and quality but non-BMR is also plenty good. This family of summer annuals needs plenty of manure or Nitrogen fertility. I’d suggest applying around 75 units of N at planting time (or manure equivalent). With excellent fertility, good moisture and warm temperatures these cover crop is hard to beat for feed and soil building! 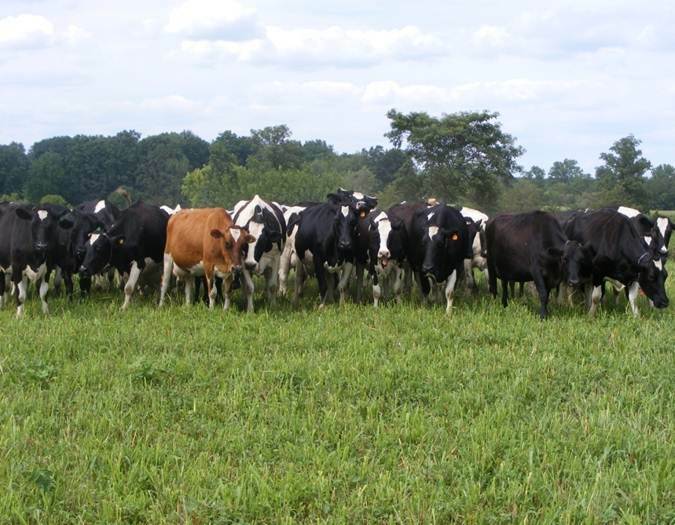 For best results utilize rotational grazing. Leave 4-8″ residual so that the cattle don’t have issues with nitrates and so that the summer annuals will regrow more quickly. Another option is to use Pearl Millet which will not have late season prussic acid issues like Sorghum X Sudan and Sudangrass will. Most likely the Pearl Millet won’t yield quite as much as the other crops. From what I understand seed supply is short on all of these items this year (especially the BMR varieties). So order early and good luck! I found your website yesterday and I am enjoying reading all the articles. It is amazing how cover crops can improve the land in a sustainable way without all the chemicals. I have a couple of questions. I live in Nebraska, near Omaha – every farmer here does row crop – soy bean/corn alternation – no cover crop. The land is left bare for 6 months out of the year which is a crime, from a holistic/land management point of view. I have a small farm near Omaha, as I said, with 40 acres of row crop and 40 acres of cool season perennial mostly brome/some alfalfa. This year I would like to learn more about cover crops planted on our perennial pasture – what would you think about that? Once the heat comes, our cool season pasture goes dormant. Last year due to drought, we had used it very minimal with very few cattle on it. Also on the 40 acres of row crop land we have (that we had it in soy beans last year 2012 – some of it sandy soil, not all of it and not too much of it), we planted this year WMR Sudangrass Hybrid Cadan (last week of May and this first of June). I am concerned that it might not do well at all since as I read in your articles, it needs nitrogen fertilizer or manure – which I would had had plenty from the cattle. Is there something else I could do now since it is already planted and one plot already has 3-4″ growth? Would I be able to plant cow peas or some other nitrogen producing legumes now? I am planning on grazing this in a rotation grazing manner and using it not only to improve the land, but also, most important, as grazing forage for cattle. 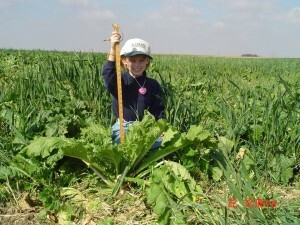 I would like to find a way of using cover crops and extend the grazing season both on the perennial cool season pasture, as well as on the row crop land I had – I would be willing to do cover crops only on the row crop land for a couple of years just for trying to achieve grazing year around. Is that possible in your opinion? What if I would put the 40 acres row crop land into warm season perennial pasture – could I do cover crop there during fall/winter/spring rotation grazing method? What would be your opinion here? If only I would had discover your website and videos sooner!! Just subscribed to your newsletter today! What would you recomend for the seeding rate of a cereal rye, oats, aspin turnips and crimson clover mix? Thanks for all the articles and info! l have 43 yrs of well established costal on 10 aces, a 10 acre kline grass field as well. l need a good no till crop to put plant because it seems like the winter grass is not as thick as it use to be, and with the price of hay l need help with feeding my cattle. A friend just sent me this artical so pardon me if l seem a little lost. Mississippi State University did some work years ago looking at chicory planted into bermudagrass. 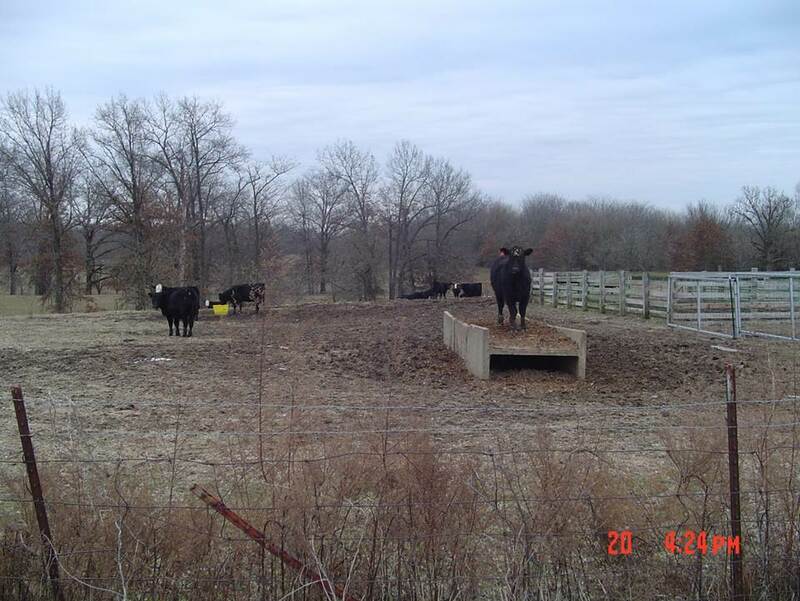 Plant 3-5#/acre in the spring and put on ~50# nitrogen and rotationally graze or strip graze the cattle. You may be able to add crimson clover at the same time as the chicory. It will be a high protein mix so have dry grass hay available for the cattle to eat so they have a good balanced diet.